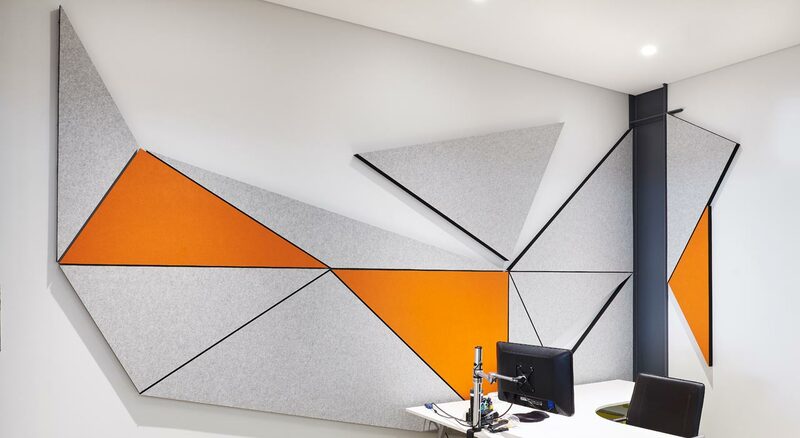 ide Group, a leading Australian product development and design firm specialising in consumer, technology and medical device markets, designed this clever and highly functional acoustic installation for their Sydney based headquarters, The Connectory. 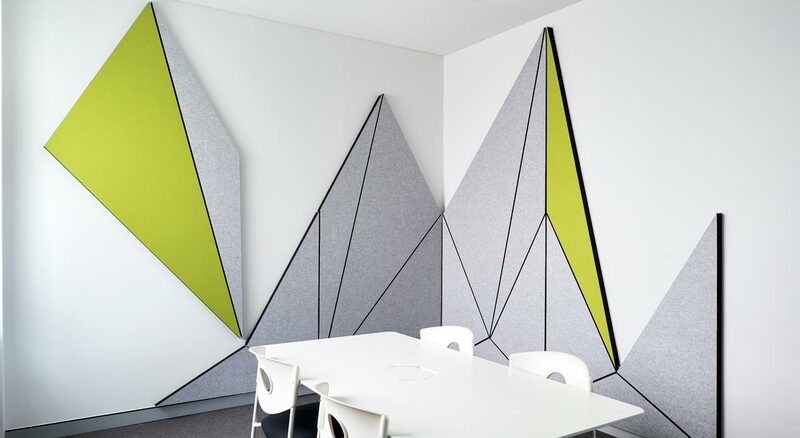 After consultation with acoustic specialist Wood and Grieve, ide Group created several different geometric installations to flow between adjacent walls that were positioned to target the main noise source at seating and standing level. 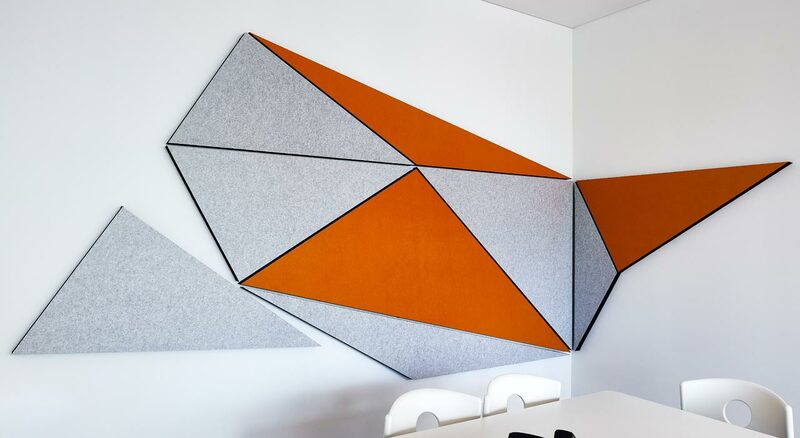 ide Group designed six shapes to be cut from each acoustic panel and the panel shapes were pieced together in different formations to create a unique installation for each room. 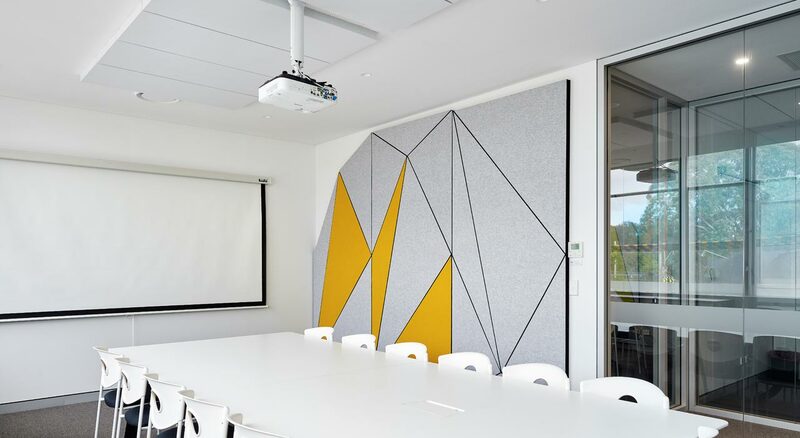 Ecoustic Panel 50mm White was installed on the ceiling in the main meeting room. 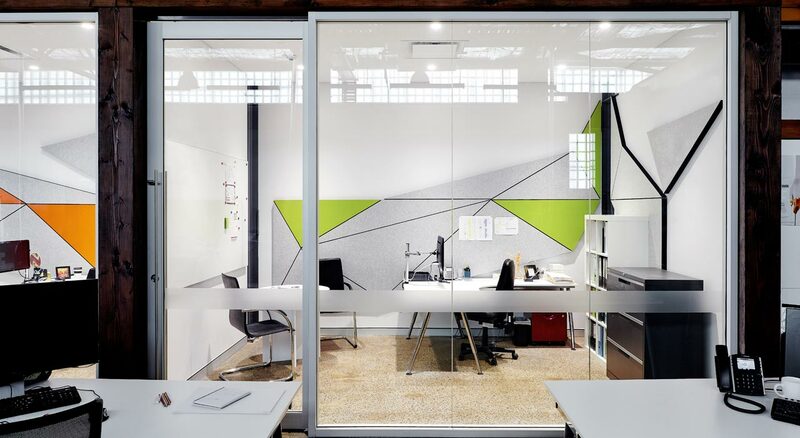 ide Connect interviewed Nancy Malik Stevens, Product Developer at ide Group, to dig deeper into the design process behind the visual acoustic backdrop adorning The Connectory’s walls.